Amber has been experimenting with fabrics and textures since she was able to use a sewing machine. In 2014, she started exploring dollmaking, with hopes to use some of the smaller scraps of fabric she had accumulated over the years. Around this time, she had the opportunity to work with Mollie Makes to develop an easy make-along sock doll. 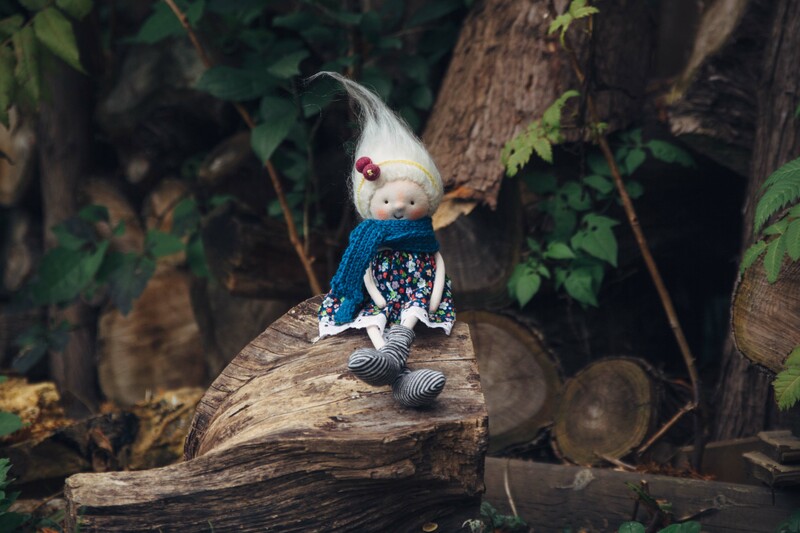 Lately, Amber has been learning about Waldorf-inspired natural-fibre art dolls. 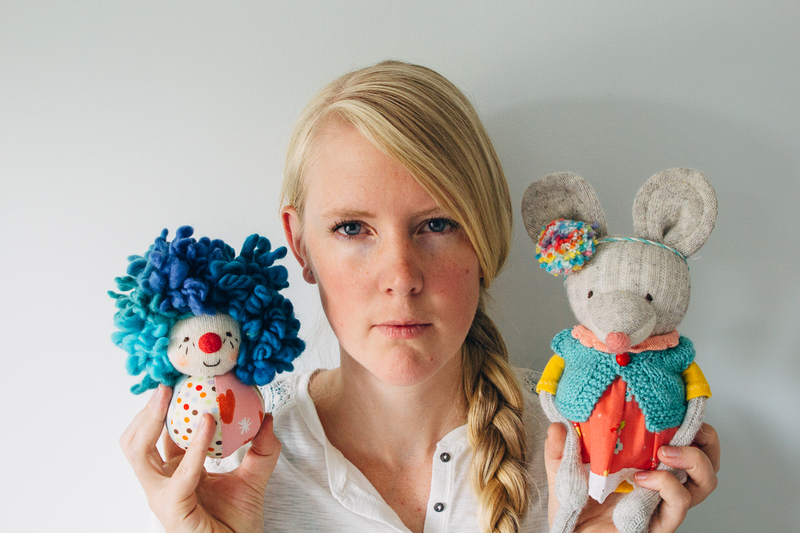 She incorporates colour and personality into each unique creation, with a belief that everyone can use a little whimsy and cute in their lives. 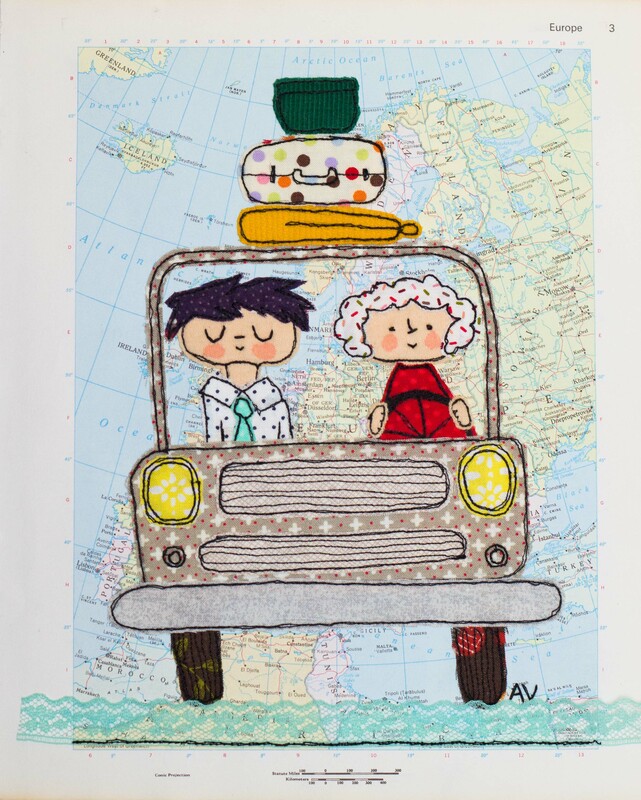 Along with dollmaking, she is using her sewing machine to create 2D works of free-motion embroidery, or thread sketch. She uses dollmaking scraps and vintage books to create unique textured art pieces.